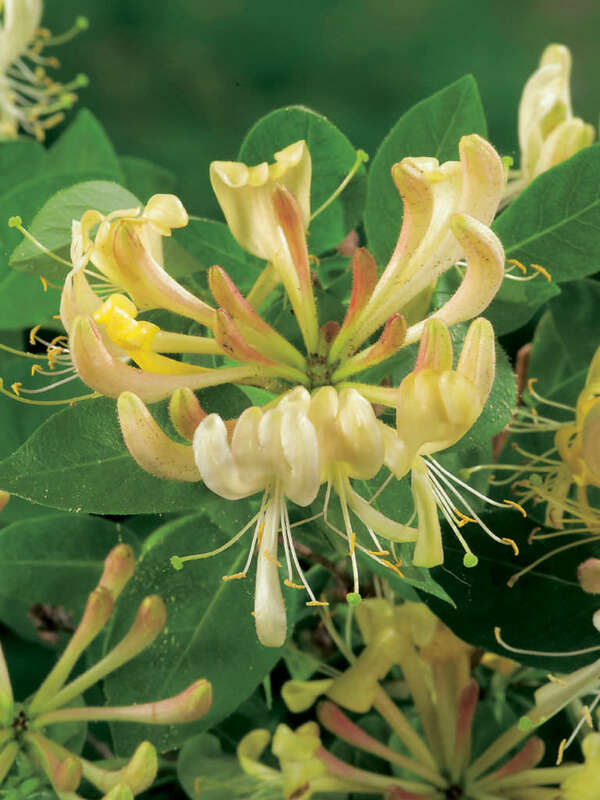 Lonicera periclymenum is an evergreen twining climber, growing up to 23 feet (7 m) in height. 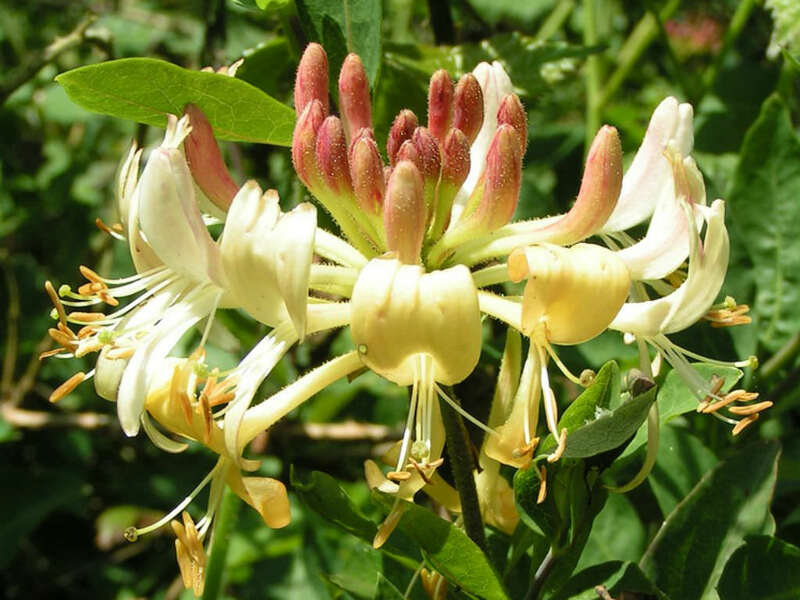 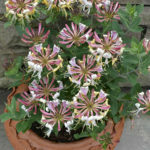 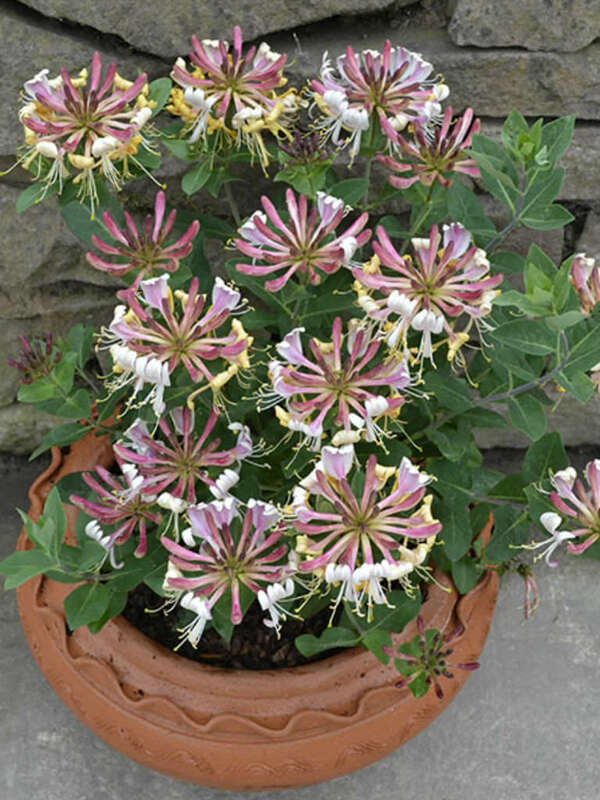 It is deciduous (loses leaves in autumn) with tubular, very sweet smelling (especially during the night), two-lipped flowers, creamy white or yellowish, flushed with pink or purple and may grow up to 20 feet (6 m) tall. 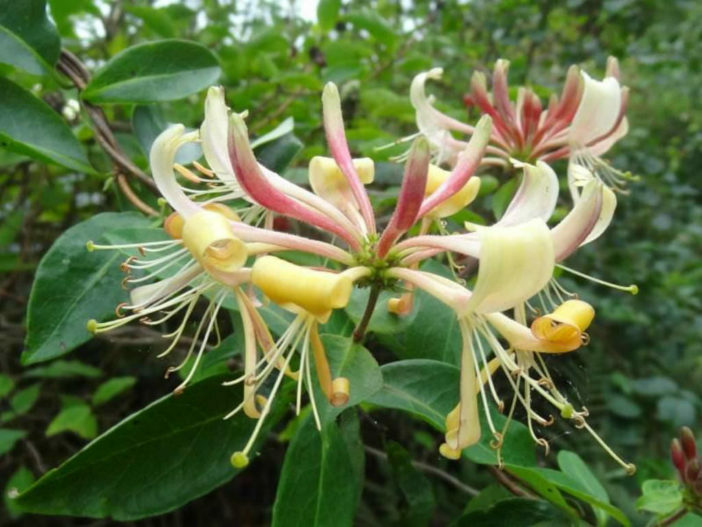 The leaves are grey-green and oval shaped. 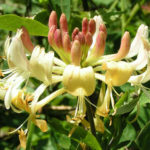 It is usually pollinated by moths or long-tongued bees and develops bright red berries. 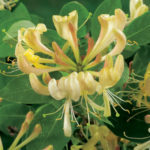 Native to much of Europe.